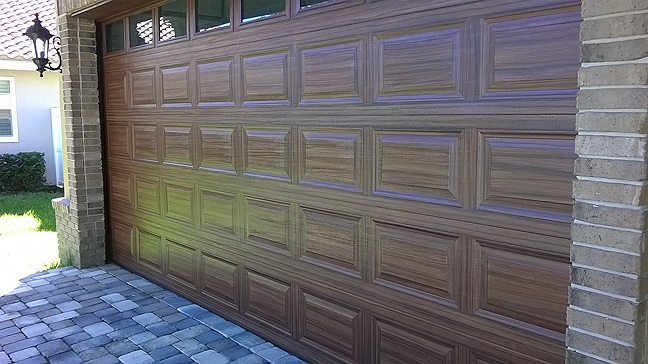 I just finished up a project where I painted a garage door, an entry door and a porch beam to look like wood. The garage door had been painted the same color as the body of the home. The entry door is a wood door and was clear coated but the coating was cracked and peeling so it had been stripped off. The porch beam was weathered quite a bit. Here is a photo of the finished project. 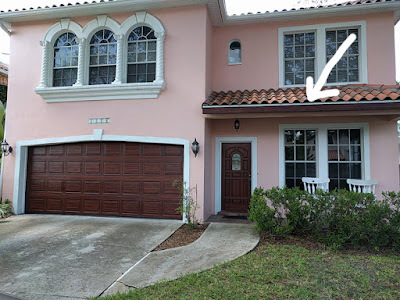 The white arrow indicating the porch beam. Just getting started here in the first photo. 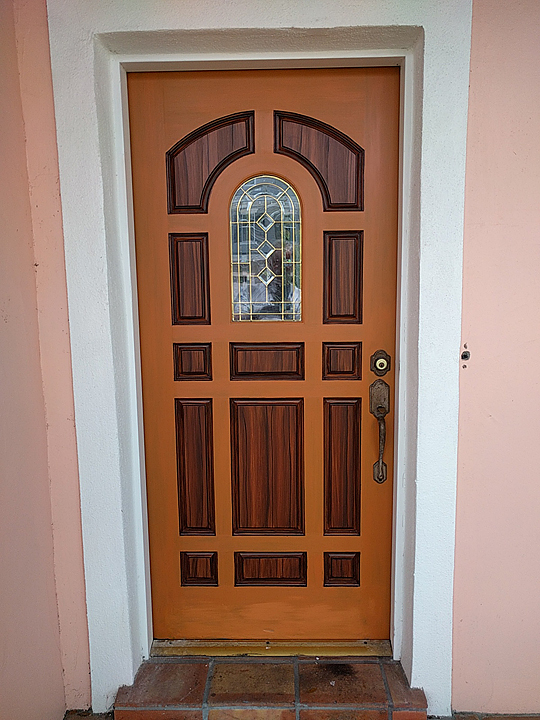 I had cleaned the door really well with soap and water and a scotch brite pad. Then I primed the door and applied the base coat of paint. 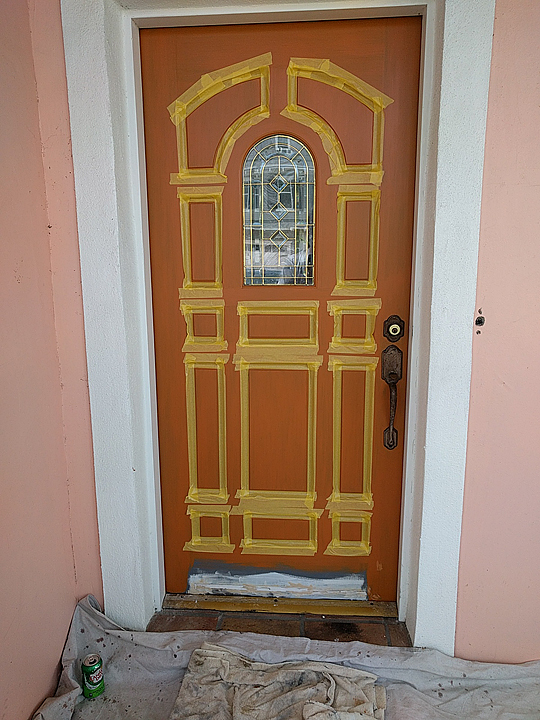 The base coat of paint in this case is a Sherwin Williams color called True Penny. 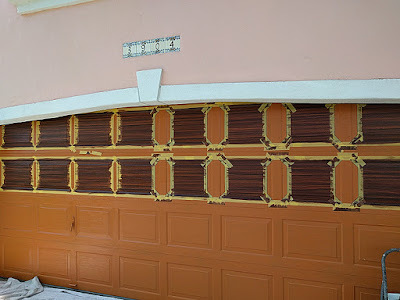 The next photo shows how I have taped off the first two rows and at this point I have finished painting in the center panels to look like wood. 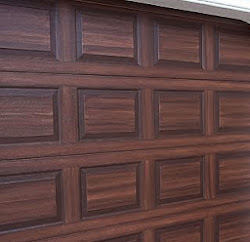 The first coat of wood grain color is a SW color called Fiery Brown. The second and darker color I used is SW Black Bean. 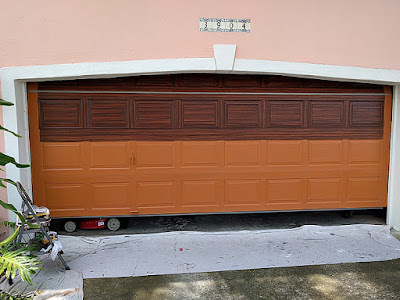 It's always quite a shock to see the base coat color of True Penny on a garage door but you can see in the next shot how painting the garage door to look like wood is really coming out great. 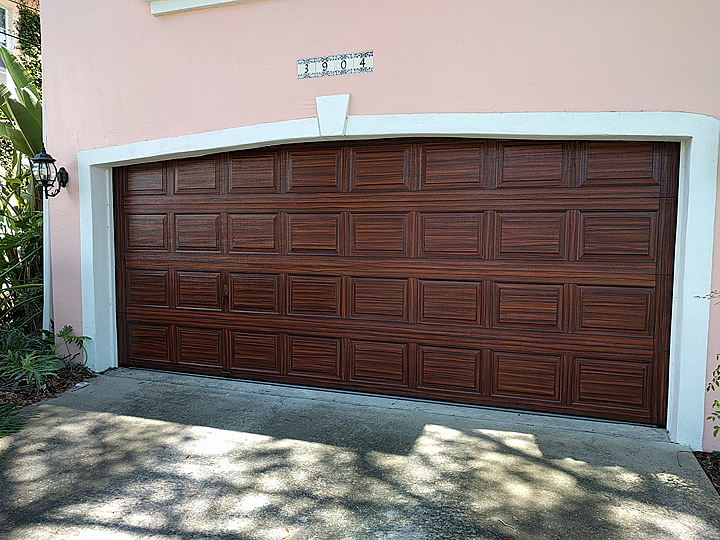 The finished garage door is shown next. 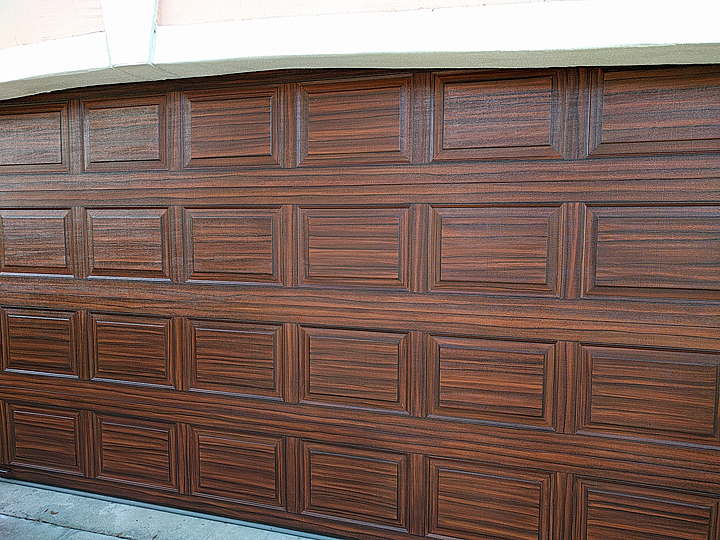 A little closer view of the wood grain pattern I created. 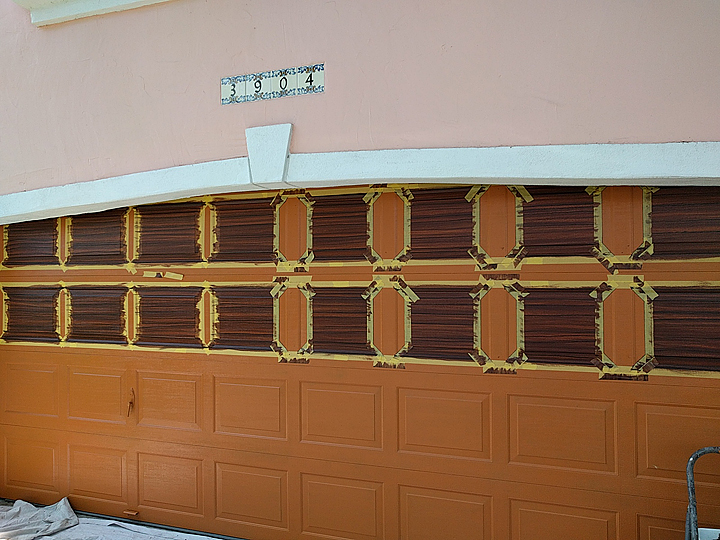 The next photo shows how I taped off the panels on the front door, the first step to get it ready to paint like wood. So all the panels are done in this next photo. 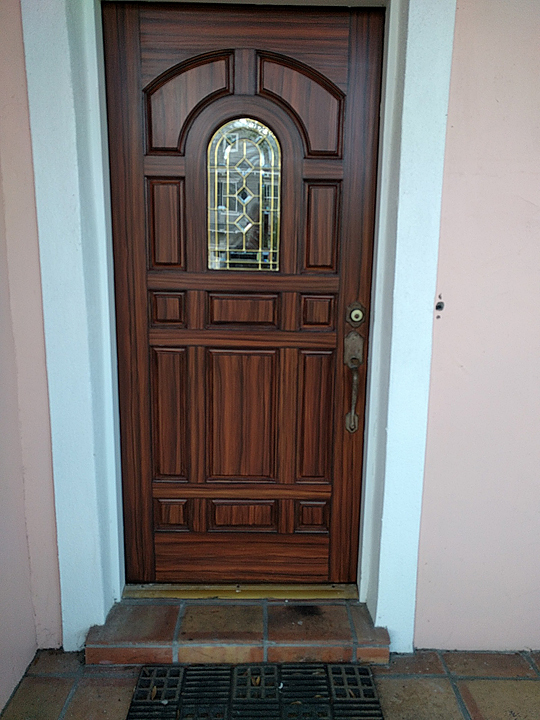 The entry door came out looking great but the picture I took didn't come out so great. You get the idea however. 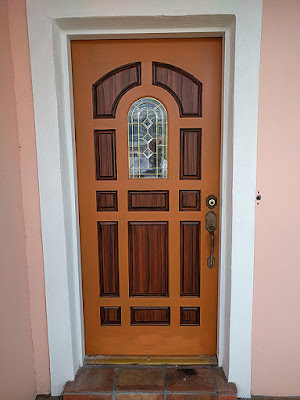 Why paint a wood door to look like wood. A good question. 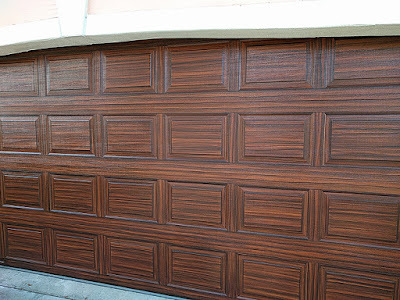 The answer is that wood doors protected by clear coats will weather and start to look shabby after about a year or two, sometimes shorter if it gets sun a lot during the day. 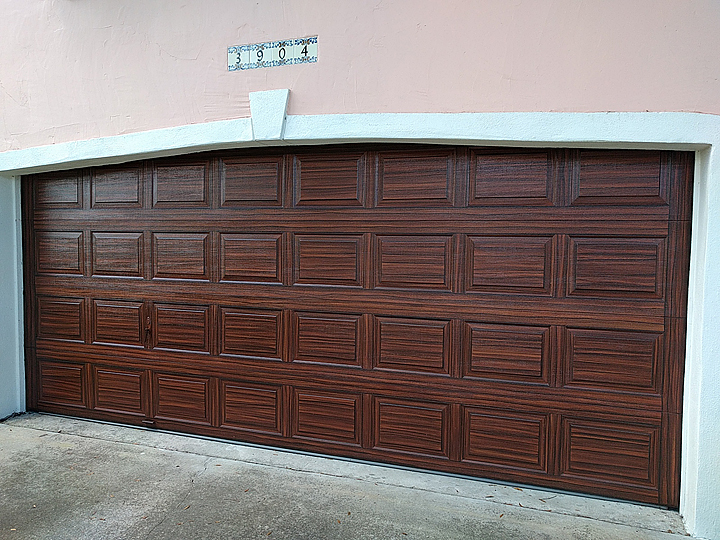 So it is not uncommon to have to refinish a wood door every 2-3 years to get it looking good. 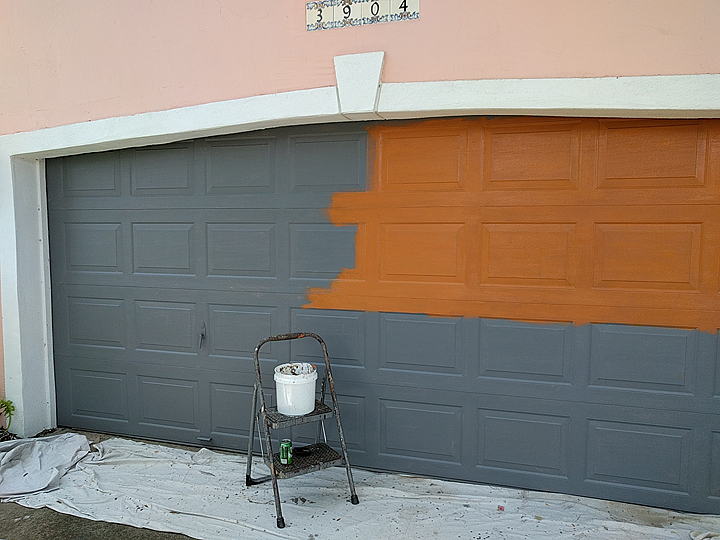 Painting it like I do will last about 20 years or more depending on how much direct sun it gets during the day. The other reason is that if you want the front door and the garage door to match you need to paint them in the same way. A last look at the garage door I painted to look like wood.